Life is too short to watch the entire three minutes of the latest viral video. 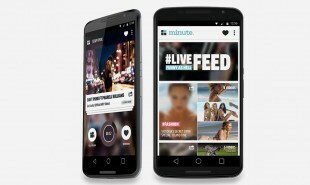 Luckily, Minute is a new, algorithm-powered tool which lets users watch and share the highlights of any given clip. Minute is a video optimization technology which automatically selects the most interesting and relevant parts of online clips for each viewer. It enables publishers to engage and expand their audience, while letting viewers see only the best bits via a looping 15-25 second clips. Minute is available as a mobile app. Users create a profile, listing interests and preferences, then subscribe to daily video digests. Their feed will be a personalized stack of video highlights which they can repeat, skip and share with friends. Viewers swipe left and right — like Tinder and recently covered AdSwipe — to like or skip videos. Minute is currently available from Google Play, and an App version is coming soon. What other tools could help users seek out the highlights of the internet?